If you've been reading this little thing called the Internet over the last few weeks, you'll no doubt be aware that Intel's 7000-series Kaby Lake desktop CPUs were imminent and from the numerous pre-launch benchmark results surfacing all over the place (including here), you'll also know how they perform and, to some extent, how they overclock too. Over the next few pages we'll be looking primarily at the Core i7-7700K and Core i5-7600K, as we've had hands-on with several samples of these unlocked parts and overclocked them thoroughly so you can see if they're worth an upgrade for you. 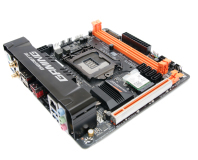 However, there is plenty of new ground to cover, especially in a top-to-bottom article like this one, where we aim to cover all the major aspects of the new CPUs and Z270 chipset in one place. You'll likely have heard some of what we have to say already, but we suspect there will be a few new bits of info you'll find too. 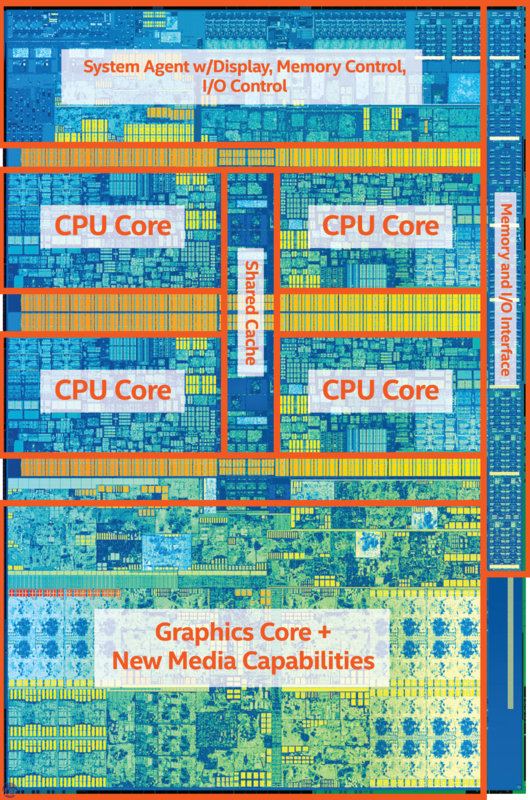 We'll also be discussing the Z270 chipset, how the Z270 landscape looks in terms of motherboards and options and also covering Intel's surprise launch of a K-series hyper-threaded Core i3 - the 7350K - and what it means for the new lineup. It's an interesting launch, and while we're not looking at any significant IPC gains (Kaby Lake performs identically at the same clock speed compared to Skylake), there are other aspects at play that make all three K-series CPUs very interesting from an enthusiast point of view. K-series CPUs have unlocked multipliers. All CPUs use a 14nm manufacturing process. Skylake CPUs Core i7-6700K and Core i5-6600K included in red for comparison. Kaby Lake is different in a few ways to previous generations. For starters, this is not a traditional tick or tock in Intel's release cycle. 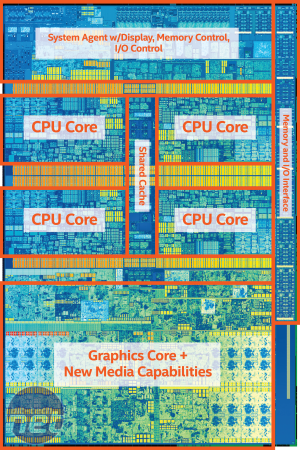 We're now on the third iteration of a 14nm manufacturing process, despite a new architecture and CPU socket appearing with Skylake in 2015, and the 14nm manufacturing processes first appearing with the flat-landing Broadwell earlier that year. Kaby Lake is now the third distinct generation of CPUs that Intel is peddling with the 14nm manufacturing process and marks the beginning of a three-phase cycle, most likely due to 10nm causing problems that required additional time to fix. From here on in, we'll likely see a similar cycle to what we've seen since Skylake: a new architecture and CPU socket (Skylake), followed by a new stage - the optimisation of that architecture (Kaby Lake) - with the final phase being a move from 14nm to 10nm (Cannonlake) in around 12 months' time. So, what is new this time with Kaby Lake being an optimisation? 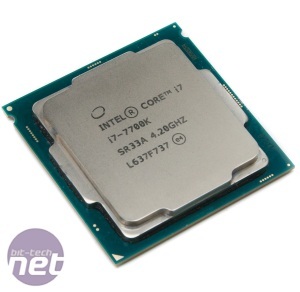 As we've already said, there have been no major architectural tweaks and, as you can see later in the results, clock-for-clock a Core i7-6700K performs identically to the new Core i7-7700K. 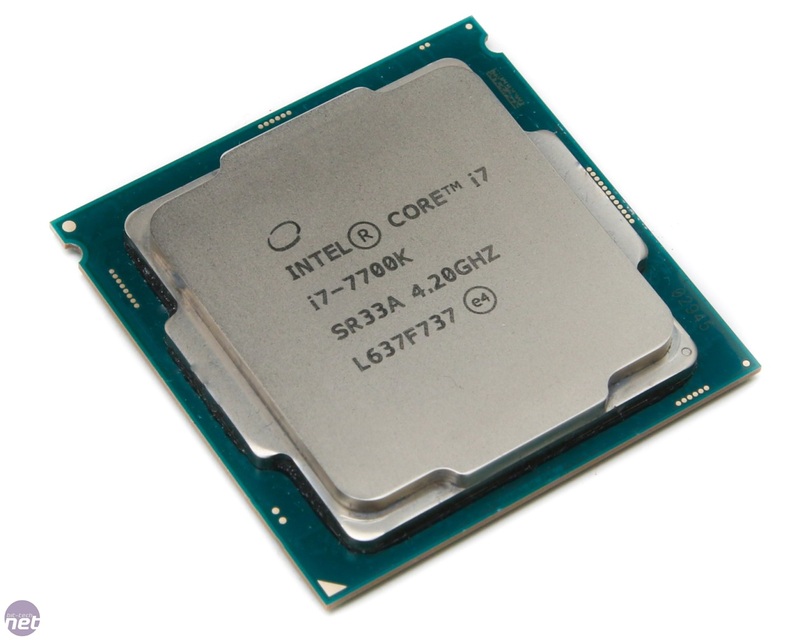 However, there are several areas Kaby Lake has distinct advantages over Skylake. Firstly, as we're dealing with a thrid generation 14nm CPU, Kaby Lake benefits from improvements in the manufacturing process. Specifically, these optimisations are transistor enhancements, such as taller fins, a wider gate pitch and Intel has also detailed a baseclock-aware voltage/frequency curve, which the company says will result in the ability to offer high clock speeds. We've tested several examples of the Core i5-7600K and Core i7-7700K now, and they all do seem to be able to reach higher frequencies on average when overclocking than their Skylake counterparts, and require less voltage to get there too. It's still a lottery, but the general consensus is that we're looking at some seriously good overclocking parts here, and with a Core i3 in the mix too, the budget end of the spectrum will benefit from this too. The reduction in the voltage required to hit certain clock speeds is felt right the way down the Kaby Lake CPU range, although with K-series CPUs, this is a little besides the point as you'll be overclocking anyway. However, you'll see healthy bumps in both base clock and turbo frequencies across the range even if other specifications remain the same. Secondly, while onboard graphics is essentially identical to Skylake too, there's one significant exception: the inclusion of a 4K HEVC 10-bit video engine. This isn't just to boost 4K playback performance and lower power consumption, which is perhaps more interesting for mobile users as most desktops can handle 4K anyway. However, a Kaby Lake CPU is actually a requirement for at least one 4K streaming service in the form of Netflix, along with a 4K screen with either HDMI 2.0 or DisplayPort, Windows 10 and Microsoft's Edge browser. Oddly, though, HDMI 2.0 still doesn't appear to be native on all Z270 boards. Finally, there's Intel's Optane technology. We've been aware for a while that Intel was working with Micron on its own flash storage, which has been called 3D XPoint. We don't quite know the full implementation yet, but at some point this year, we'll see Intel Optane PCI-E M.2 SSDs, and combined with Z270 motherboards and Kaby Lake CPUs, systems will benefit from what appears to be a fast caching feature that Intel claims can accelerate day-to-day tasks and reduce boot and program launch times. It sounds a lot like the old Smart Response, but we'll know more later in January when the feature is officially announced. This will not work with a Skylake CPU, nor on a Z170 chipset motherboard, although it's possible using a Samsung 960 Evo M.2 SSD with Samsung's Rapid Mode in its Magician software may achieve similar things. We'll have to wait and see.